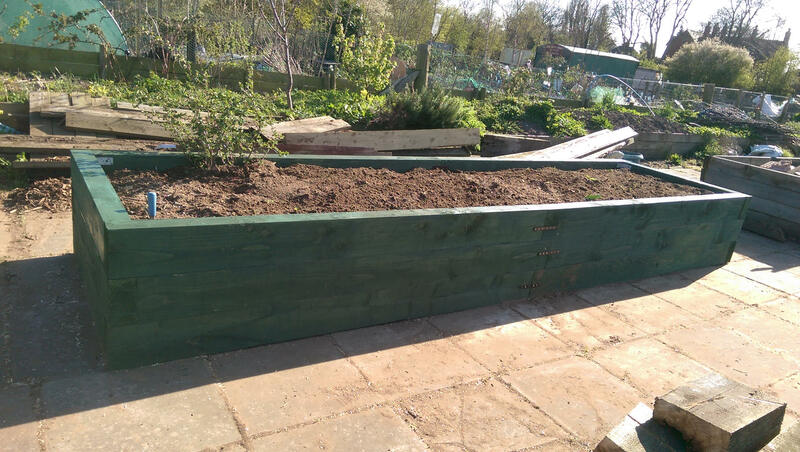 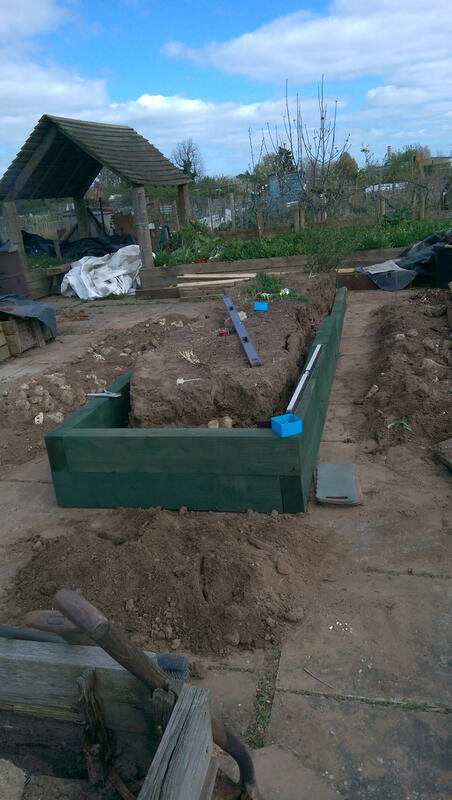 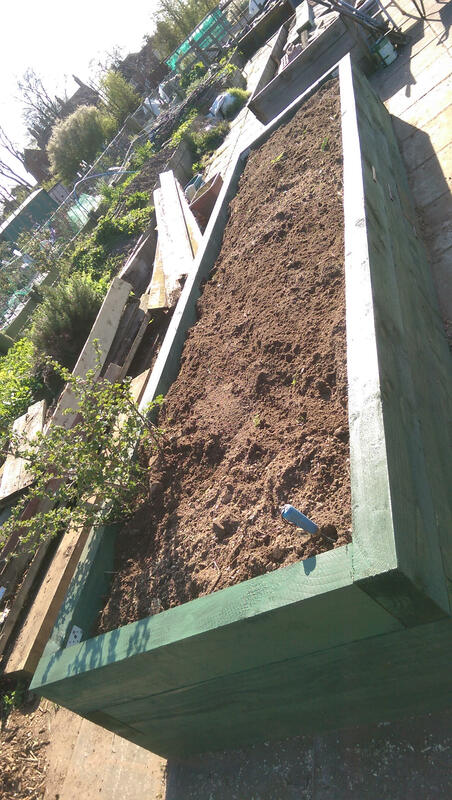 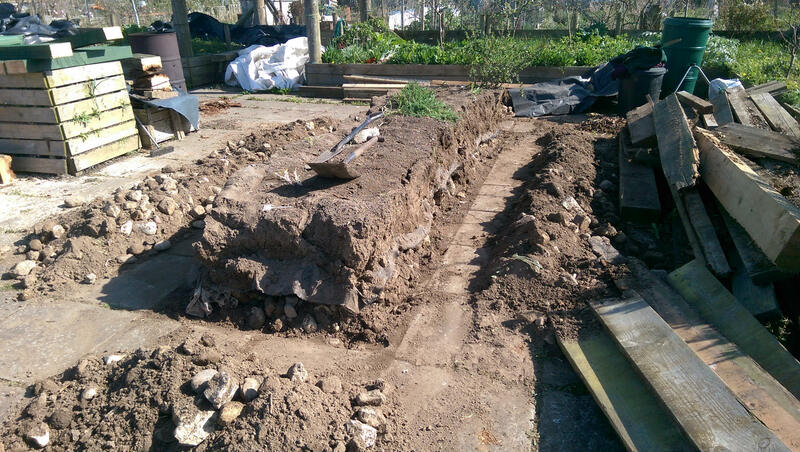 We managed to get another raised bed sorted yesterday (6/4/17). 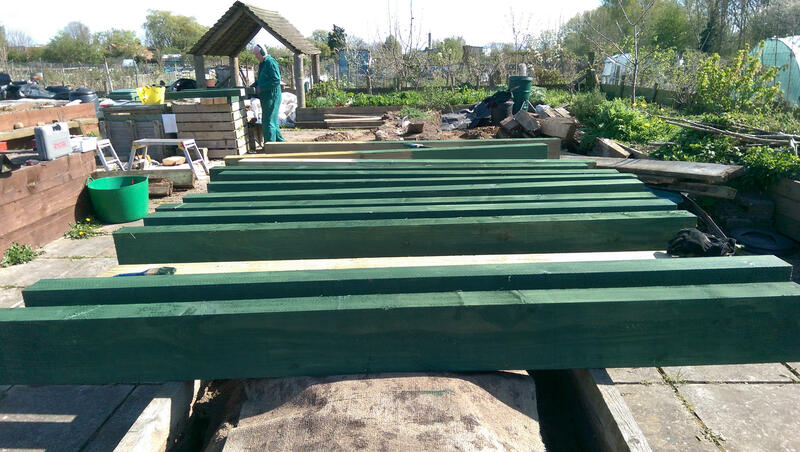 Also getting a lot of the old timber sorted as well so the far end is tidier but still a way to go. 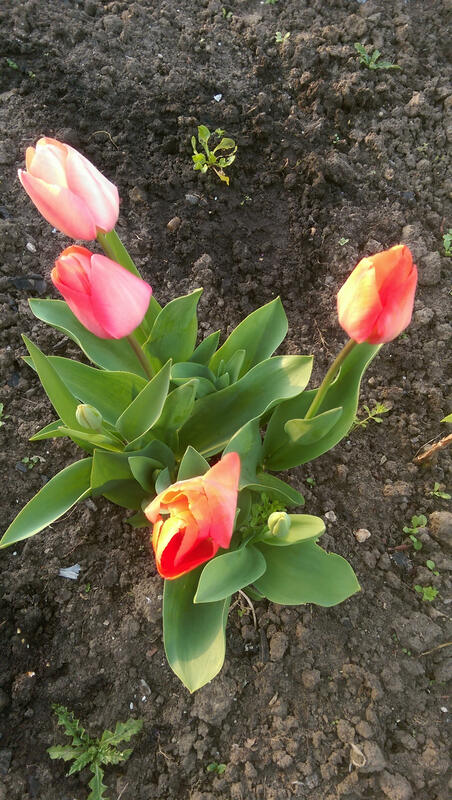 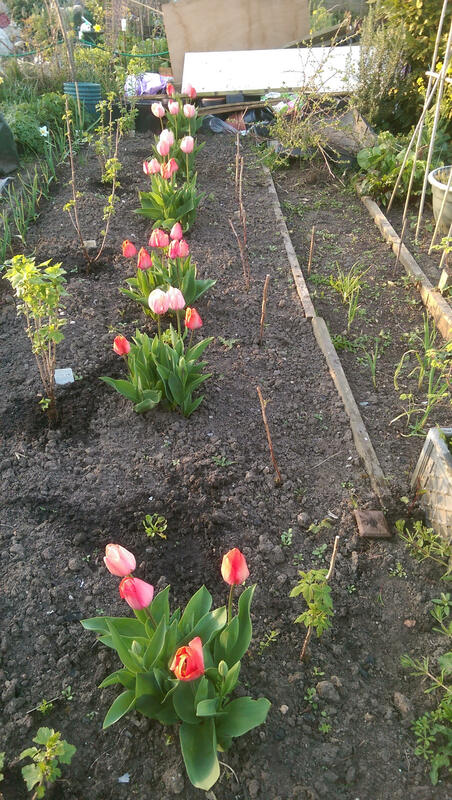 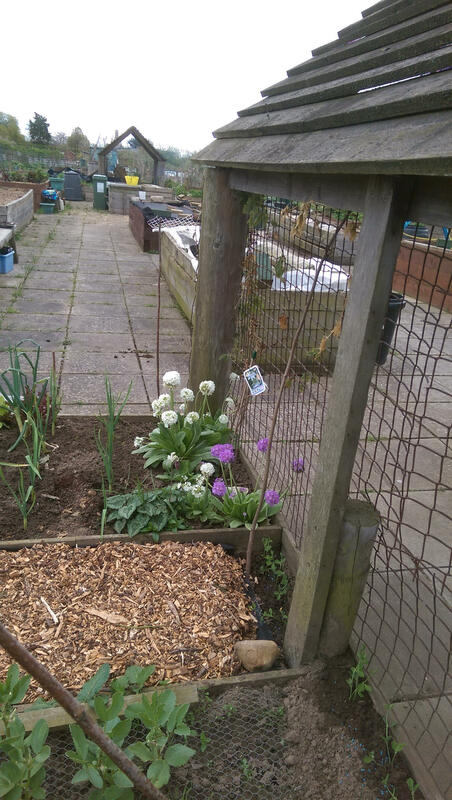 Also a few other shots showing entry to the Easy Access Beds looking quite bright, close up of Spring Tulips and Black Currants, Swiss Chard, Tulips and Raspberry Canes all in the same bed!